Salvadoran Archbishop Oscar Romero, Gunned Down In 1980, Will Become A Saint : The Two-Way The Vatican announced that Romero, who was closely associated with liberation theology and was killed by a right-wing death squad, will be canonized along with Pope Paul VI. An undated file photo shows Archbishop Oscar Arnulfo Romero, who was gunned down while giving Mass in a San Salvador church on March 24, 1980. Salvadoran Archbishop Óscar Arnulfo Romero, who was gunned down by a right-wing death squad in 1980 at the start of the country's civil war, will be canonized as a Roman Catholic saint, the Vatican said in a statement Wednesday. Romero, who had denounced a crackdown on leftist opponents of the country's military government, was killed while celebrating Mass in March 1980. He will be made a saint along with Pope Paul VI, whose canonization was announced last week. When Vatican theologians declared Romero a martyr in 2015, they said he was killed in odium fidei — "in hatred of the faith." 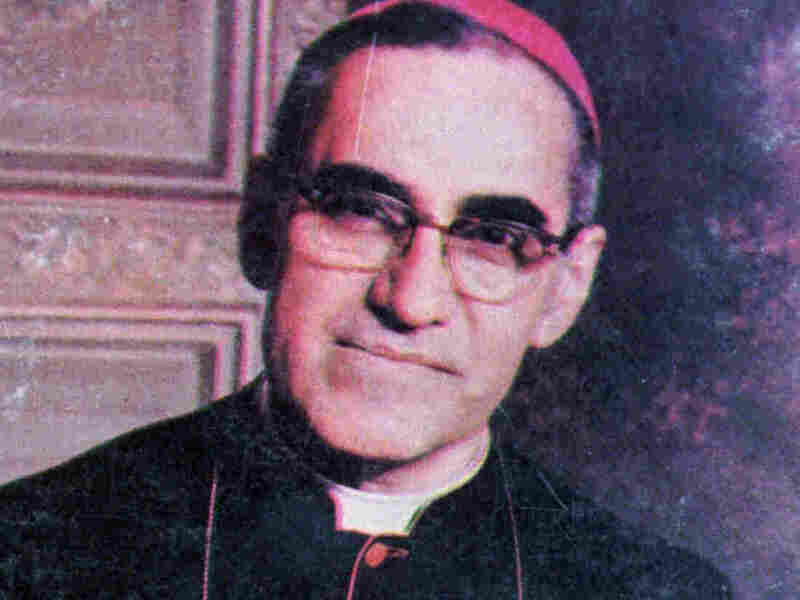 Francis ruled that Romero could be declared a saint after a Vatican commission certified a miracle attributed to him. Canon law dictates that martyrs require only one verified miracle to become a saint instead of the normal two. As Reuters writes, "The Church teaches that only God performs miracles but that saints who are believed to be with God in heaven intercede on behalf of people who pray to them. A miracle is usually the medically inexplicable healing of a person." Romero's road to sainthood has been a long one, reportedly stalled over his adherence to liberation theology, a movement that arose in Latin American beginning around 1960, but that had fallen out of favor with the Vatican by the time of Pope John Paul II, who was pontiff from 1978 until 2005. However, in 2014, Pope Francis said Romero's case for sainthood had been "unlocked" after being put on hold by the Vatican's Congregation for the Doctrine of the Faith. "The long delay in recognizing the obvious fact that Romero was obviously a martyr was shameful," Father James Martin, editor-at-large of the Jesuit magazine America said in a tweet on Wednesday. The long delay in recognizing the obvious fact that Romero was a obviously martyr was shameful. But many saints and blesseds were not understood in their own times (Mary MacKillop and Mother Theodore Guerin among them), even by the church that they served so selflessly. Pope Paul VI, the pope from 1963 to 1978, oversaw the completion of the Second Vatican Council. He was beatified by Francis in 2014. The National Catholic Register writes that "Apart from his role in the Council, Paul VI is most widely known for his landmark encyclical Humanae Vitae, which was published in 1968 and reaffirmed the Church's teaching against contraception in the wake of the sexual revolution." 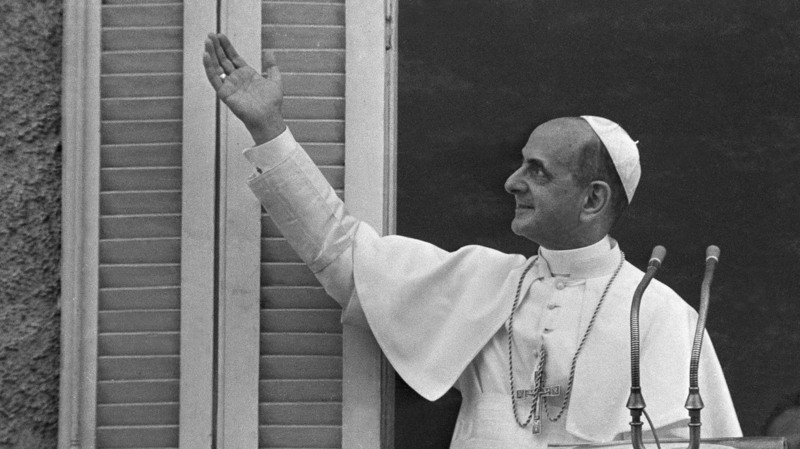 Pope Paul VI salutes the crowd gathered beneath the balcony of his summer residence, Castel Gandolfo, during a noon appearance, in 1963. The Register said both of Paul VI's certified miracles were intercessions "involving the healing of an unborn child." The nature of Romero's miracle has not been made public. However, last year, Archbishop Vincenzo Paglia, who was overseeing the canonization process, reportedly told an Italian radio station that the "healing of a pregnant woman that at first glance seems inexplicable" had been attributed to Romero. No date has been set, but the Register says Paul VI and Romero are expected to be canonized together at the Synod of Bishops in October.